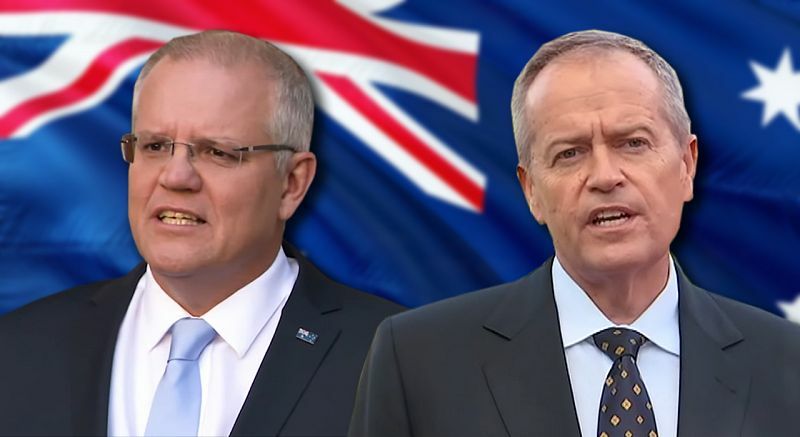 While the political class holds its breath for the official beginning of the coming Federal Election campaign, perhaps we can reflect on a policy platform that would actually make a difference and give us some hope of surviving the coming decades without civil strife and collapse. FRIENDS, LET US ACKNOWLEDGE the traditional custodians of the land on which we meet and pay our respects to their elders past, present and emerging. In fact, let us acknowledge that this modern nation of Australia occupies a land never ceded by its original inhabitants. We are belatedly realising the ancestors of our First Peoples forged sophisticated cultures that fostered the health of the land and provided generously to support diverse lifestyles including villages, cropping and farming of various kinds. They lived as part of the great fabric of life and at peace with each other. We have many lessons to learn from them. Let us return to them the power to heal their own lives and communities. Let us take up their most generous invitation, in the Uluru Statement from the Heart, to walk together into the future. Our European forebears, who farmed this land in ignorance but also in greed, wrought enormous damage to the beautiful land so mindfully tended and the damage continues apace. Yet we now have people practising regenerative farming who are learning afresh how to work with the native species and ecosystems, who are discovering the land knows how to survive droughts and floods and to support productivity and prosperity, if only we get out of its way. Let us now support all those who work the land to learn how to work with the land. We need the land to work with us to survive, as best we may, the growing and potentially dire threat of global warming. Thriving vegetation may be our best chance to stop the warming before it runs out of control. We must, of course, move as quickly as possible to remove fossil fuels from our society. Continued mining, drilling and fracking damage and destroy productive land, groundwater, aquifers, the Artesian Basin and river and ocean ecosystems as well as fuelling global armageddon. There are more jobs to be had from clean energy, so let us support our workers and industries to accomplish this transition as quickly as possible. Let us take back the electricity grid and quickly modernise it for its new task, investing in the clean generation and storage systems that will meet our needs abundantly and for a modest cost. Let us establish the required network of electric vehicle recharge stations and work on the hydrogen fuel economy that will be part of the world’s clean future. Let us acknowledge that we humans beings are first of all loving co-operators, even as we may engage in rivalrous competition. Let us acknowledge that unfettered greed begets more greed and destruction which must be curbed, as our old wisdoms urge. Rather than handing our disabled, our old, even our littlest children to the greedy markets and then holding endless enquiries to look, superficially, at what went wrong, let us support our local communities to care for those in need and do it with love. We can have some markets, but let us dispense with the naïve folly that markets can be left untended. We must always attend to the incentives under which markets operate. If the incentives are to exploit people and trash the Earth, that is what will happen. If we adjust the incentives so it pays to support people and nurture the planet, then that will happen. That is what the carbon price was for, and it was working. We can tilt the playing field so it is profitable to conserve water, to foster the health of rivers, to grow crops appropriate to the land, to avoid pollution and the production of poisons and we will save money as we save ourselves. We have always been energetic, innovative people and we can provide productive and healthy occupations for all our young and end our dependence on the great mindless, uncaring global systems that treat the Earth as a mine and a sewer. Let us phase out many toxic and unnecessary products, from plastic bags to herbicides, from asbestos to food additives. Even our food is killing us. It is nutrient-poor, too sweet, too fat and we are overweight and sickening. The remedy is simple and not hard, the remedy is to eat local fresh food. We just have to take control of our food back from another malfunctioning, greed-driven market. The banks and financial system are much larger than they used to be and they siphon off our wealth and destabilise our economy. Let us re-impose the controls there used to be and have the financial system serve us instead of being our master. There are among us those who know what to do. Let us also be sure that all those who contribute to creating wealth gain a reasonable share of the reward. A cleaner, a factory worker and a banker each deserve a reasonable reward, but those rewards need to be re-balanced. The economy slows if people don’t have money to spend. We are told we must obey the global markets but it is not true. We control every thing and every cent that passes our borders. Let us be wiser in how we interact with the world. We can trade for things we choose not to produce ourselves, but it is nonsense to be importing food from all over the world because it is allegedly produced more cheaply by people who are grossly underpaid. The same will apply to much clothing and many commonplace items. There are many hidden costs that our failed market system offloads, so the low prices are an illusion. We can produce many things ourselves, as we used to. We do not need foreign investment. What we can do is limited by our people, our talents and our resources, not by money. Banks create money all the time and we can easily create the money that will facilitate what we do — that is what money is for. Money creation does need to be done carefully and with full oversight, an oversight that is sorely lacking at present. Let us stop invading countries where we have no business. Their people will then be less interested in terror strikes against us. We will be more secure if we make fewer enemies and if the world is a more stable place. Let us accommodate those who seek refuge from murderous regimes with us. Let us cease the abomination of placing innocent men, women and children indefinitely in prison. It may not be easy to work with neighbouring countries to manage the refugees’ needs, but neither is it impossible for the rich and creative country that we are. Let us also work to reduce the conflicts that cause people to flee, instead of fanning them as we have done too often. Our economy and our society cannot grow indefinitely — the current obsession with growth is high folly that serves some special interests at the expense of the rest of us and our grandchildren. Let us slow the excessive rate of immigration, for our cities are choking and our land is suffering. Let us manage the economy to increase quality (of life) and to reduce quantity (of raw materials and waste) by re-using and re-manufacturing. It is being done, we just need to mainstream the practices. Let us reclaim our democratic system. Our parliament is heavily corrupted, receiving gifts from the wealthy and serving the interests of the wealthy. Let us adopt proposals already available to severely limit donations, to make them public in real time and to pay the modest collective price to ensure our democratic process works for all of us. Let us require those who control our information and our public conversations to observe responsibilities. It is elementary that they should clearly separate reporting from opinion and they should not knowingly propagate falsehoods. They should strive to provide comprehensive news instead of highly selected and unbalanced news. Even though the old media are losing power they still exercise a great deal of it. It is an immense privilege they are granted and they have a return obligation. Policing them will not be easy, but neither is collecting taxes and we don’t just throw up our hands and give up. Let us restore funding to the ABC and increase its independence from the government-of-the-day. It has been heavily infiltrated by partisan interests who hate its informed commentary. It is an immensely valuable cultural institution that can foster our knowledge, our stories and our identity. There are many neglected or damaged parts of our society requiring attention and healing. If we step away from the tiny obsessions of the present chatterers and bring a generous heart to bear it is not so hard to see healthy ways forward. You may say I’m a dreamer, but I’m not the only one. When enough of us decide we want to reclaim, or claim, the running of our society, then it will happen. Dr Geoff Davies is an author, commentator and scientist. He is author of The Little Green Economics Book and Desperately Seeking the Fair Go. He blogs at BetterNature Books.